Did you know the skin on our lips is just as thin and delicate as the skin around our eyes? This skin is up to 1/10th thinner than the skin on the rest of our face. Use the extra product around your lips! The skin on your lips is just as delicate and can show signs of ageing just as easily, so if you ever dispense too much of your eye cream use it on your lips as a treatment! I often run my fingers over my lips after applying my eye cream, Balance Me’s Extra Care Wonder Eye Cream (£20). This is a 99% natural triple-active eye cream, perfect for sensitive skins. Balance Me never test their products OR ingredients on animals so this is CRUELTY FREE while also being free of parabens/sulphates/petroleum/mineral oils/silicones/DEA/PEGs/propylene glycol/artificial colour/artificial fragrance. 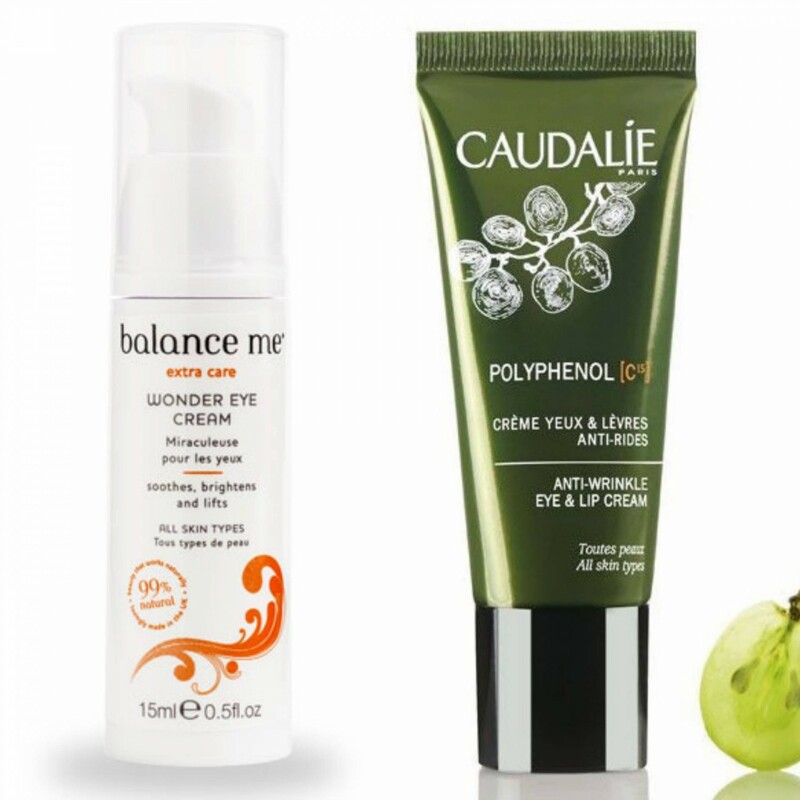 If you would like a product marketed for both eye & lip care you could try Caudalie’s Anti-Wrinkle Eye & Lip Cream (£24.70) available from escentutal.com .